Here we have some very good hi-life from Ghana from the mid 80s. 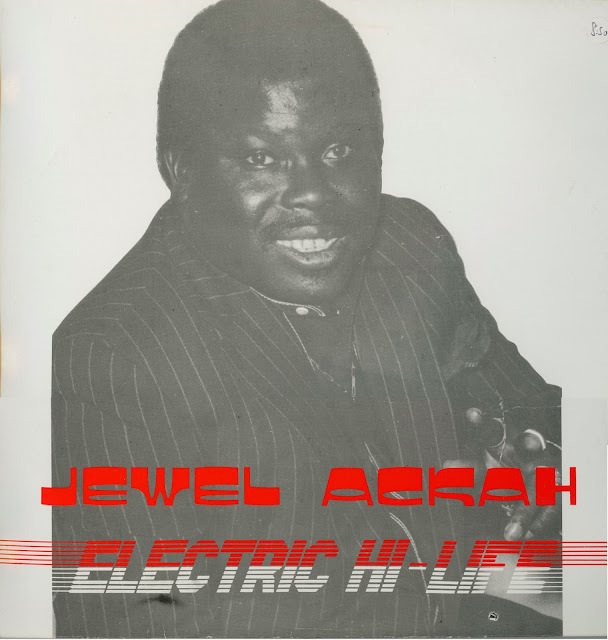 Jewel Ackah is well known enough to have stuff you can by on Itunes but not this album. I found this vinyl album in the Princess May car boot in Dalston, which is almost the equivalent of the Dalston Oxfam Shop (for me) these days because they don't really care any good tapes anymore. It looks Jewel Ackah had albums dating back to '81 as you can see from his discogs site. You can see some more recent albums of his (less to my taste) on itunes here. According to his biography here, this is maybe his best album, recorded with Pat Thomas and A.B. Crentsil. 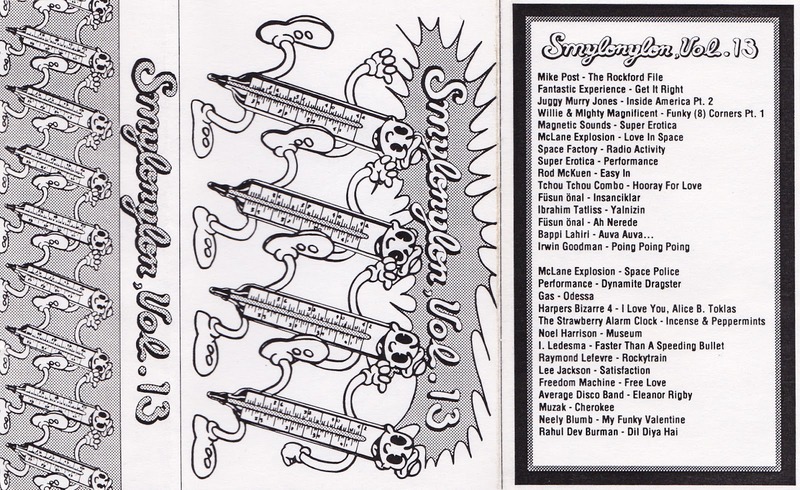 I am excited to present another Smylonylon tape on this blog. This is one of the ones that I did not have. A lovely man named Alan Miller contacted me on the e-mail on this blog and sent it to me out of the blue. This tape is earlier in the series of Smylonylon tapes when the music was more moog and 60s dance. 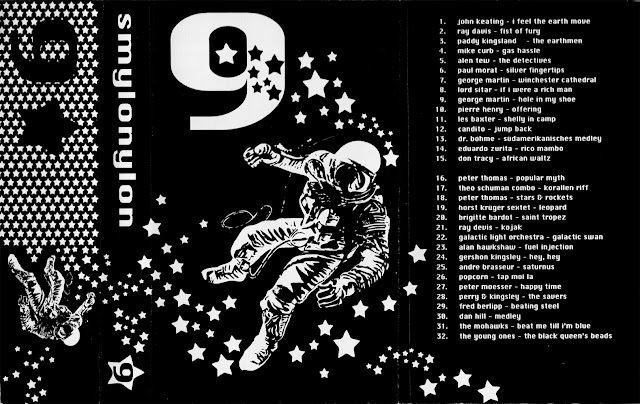 Starting with the tapes in the teens up to number 30 (the last one) the music was a lot more disco influenced. There are a lot of amazing tunes on here. I have given you the option of buying many of the tunes on Itunes. I particularly like the tracks Hey Hey by Gershon Kingsley and the track Silver Fingertips by Paul Mauriat, which I have included as a download. I particularly am struck by how musical the tracks are in the sense that the musicians are clearly very good at playing instruments. It seems that music these days is all computer automated. Or his personal links here. Ismael Isaac et les Freres Keita are a Reggae group from Abidjan, Ivory Coast. 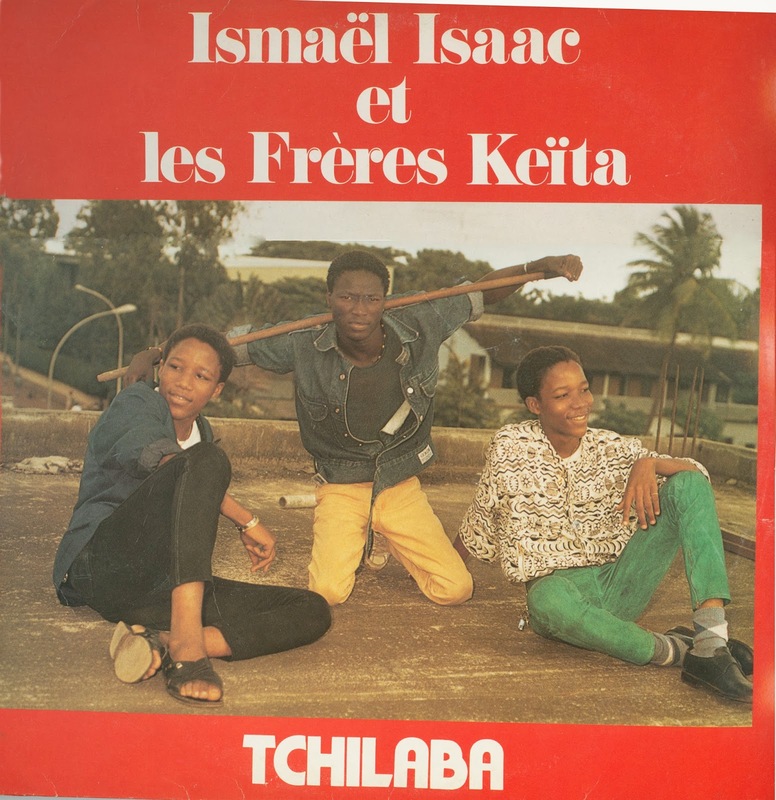 Ismael Isaac recorded this album in 1986 with the singing twins (seen on either side of him in the cover) Keita and Hassan Ousseini. I got all the information above from Wikipedia and it doesn't have much else to say about him. The sound on this track is incredible however. It's reggae but there's something else which is distinctly african about it. I found this album in the flea market in Marseille and I hope you enjoy it. You can buy the recording on Itunes here but I think my recording off vinyl is better. This is a rare compilation put out by Select magazine (other tapes of which I've featured on the blog) which features various singles from the Factory Records collection. 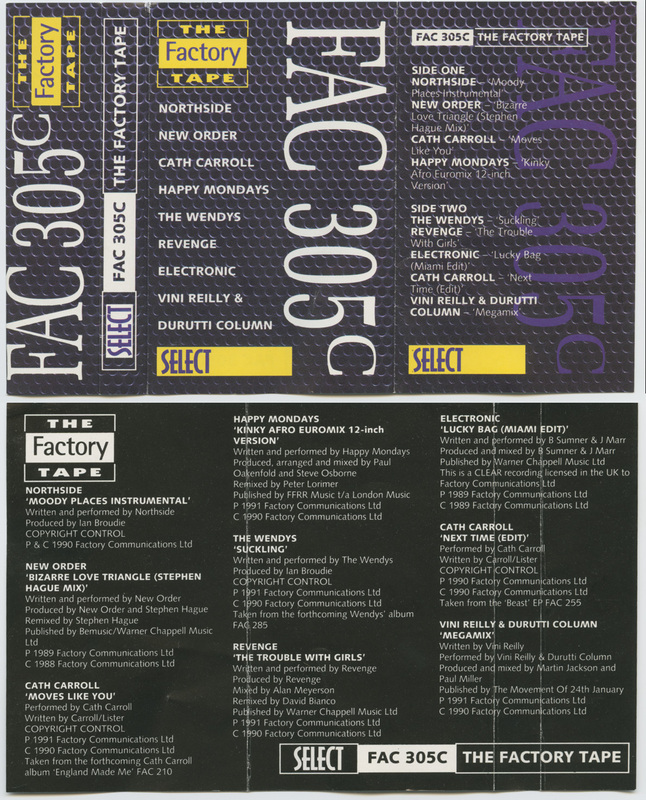 Factory Records were famous for people like New Order and Happy Mondays and have had a movie made about them. The track on here which appears to not feature anywhere else is the Stephen Hague remix of New Order. Stephen Hague was an american producer who gave a more 80s disco/synthop tinge to a lot of big tracks from people like the Pet Shop Boys. Later he went on to work with Ace of Base. When I first was researching this tape I was a bit surprised that there was an actual group called "Electronic" and I wondered how they could get away with that. Then I realized it was probably some late 80s concept by these really heavy hitters, Bernard Sumner of New Order and Johnny Marr of the Smiths. If some random guy like me had put together a group called "Electronic" people would have scoffed. But in the 80s big guys like these could pull it off. This tape is on Discogs here. This is another tape that I purchased in Dar Es Salaam in Tanzania in 2009. Mlimani Park (DDC Mlimani Park Orchestra being their full name) is one of the best known Soukous groups from Tanzania. Unfortunately the tape was in relatively new condition when I bought it but the recording is not exceptional. Strangely enough this tape has a song about Daniel Moi, the president of Kenya (not Tanzania) in the 80s. I was living in Kenya in the 80s and remember this kind of music blasting out of every single shop everywhere all the time. You can find similar music here, where I've written about other tapes I purchased. Probably my favorite track is Nakubali Makosa, which means "I Remember Mistakes" in Swahili. About half way through where the track switches to the dance break there is some great instrumentation. 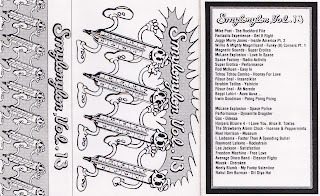 I recently had the pleasure of an e-mail from a guy called Ron Kutulas who offered to send me some Smylonylon tapes I didn't have. I still have a bunch that I've not posted (because I'm too lazy) but what I'm mostly missing are the early ones, such as this one. As you can see the tracks are largely early disco with lots of synths and weird foreign stuff. I'm particularly crazy about the Ibrahim Tatlises track but if you search for this track as titled, another lame ballad comes up. So either this is an earlier version of the track or else it's a different one. Would love any info from someone who knows. Also, Ron Kutulas wanted me to particularly point out the Bappi Lahiri track which is an Indian cover of Buggles' Video Killed the Radio Star. I was also recently invited to be on Shoreditch Radio's show Dance Dance Dance to the Radio. You can hear the show and the track I picked to recommend (Luther by Matthias Zimmerman) at minute 38:10 here. Tomorrow, the 30th of December, is the first ever Now Playing 2012 Blog Preview on BBC 6 Music. Below is a list of the tracks and blogs who have contributed. They have included my recommendation, Brenmar (video below). The show starts at 7pm GMT tomorrow (Friday 30) and will also feature contributions from the presenter Tom Robinson, and 6 Music listeners. Some of these tracks I don't know. They originally asked me to contribute artists who would blow up in 2012. With that in mind, I'm not sure about Garbage, who were already big. Though I like the track. I also like the D/R/U/G/S track though it's not the best from that genre in my view. You will be able to stream the show afterwards also at the BBC site by clicking on the Radio and Radio 6 and then looking for the show.